The Wading River - Shoreham Chamber of Commerce fosters a working relationship between business owners, local officials, civic leaders, community groups and residents to advance the economic, social, and cultural well-being of our communities. CLOTHING DRIVE - JOIN TEAM HUMAN! North Fork Craft Gallery, www.northforkcraftgallery.com , is located at The Shoppes at East Wind, Long Island's premier shopping experience located at the entrance to the bucolic Long Island Wine Region, home to vineyards, wineries, farm stands and more. Visitors have a wide range of activities to choose from and stopping at the Shoppes is sure to top any visitor's list. In addition to unique small business owned shoppes, the Shoppes features a Carousel, and eateries. The shoppes also hosts special events throughout the year. Check them out at www.eastwindlongisland.com/shoppes. We are proud supporters of Long Island Craft Artists and currently feature works from over 100 local artisans. 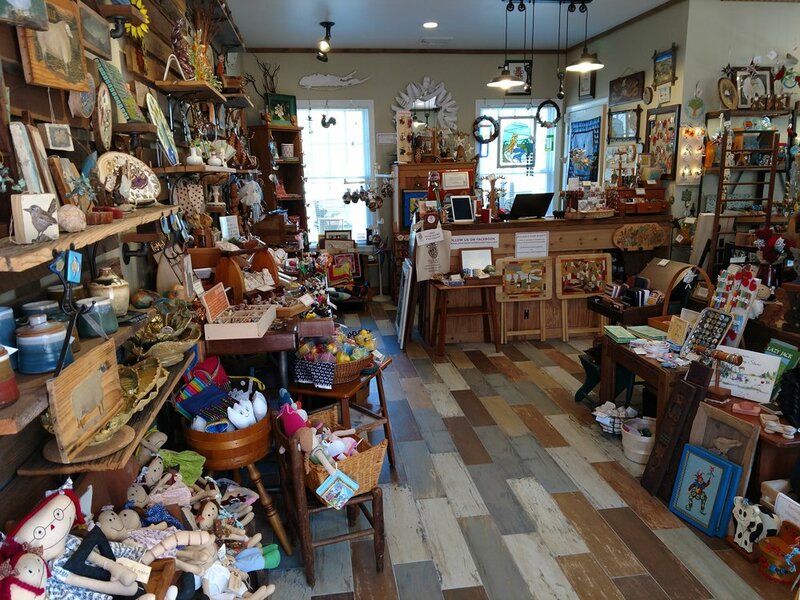 Crafts include jewelry, wearable accessories, home decor, folk art, furniture, wood work, sea glass, fiber, glass, metal works, pottery, embroidery, textiles and more. We recently expanded our offerings to include an entire line of Long Island themed activewear, including t-shirts, sweat shirts, PJ's, hats and bags! With handcrafted wares priced from $5 and up, shoppers can find a unique handcrafted gift for a loved one, friend, or for themselves!